Sometimes it is about the small things in life: The placemat made out of felt by Hay will decorate and protect any dining table stylishly and unobtrusively. If visitors are coming or children playing with their meal, the protective placemats offer an ideal solution. The inviting Hay placemats are also suitable as simple decor, since they are made of felt and their design is reduced, thereby fitting into every living room. When they are not used, the placemats can be stored quickly while saving saving because of their slim shape. 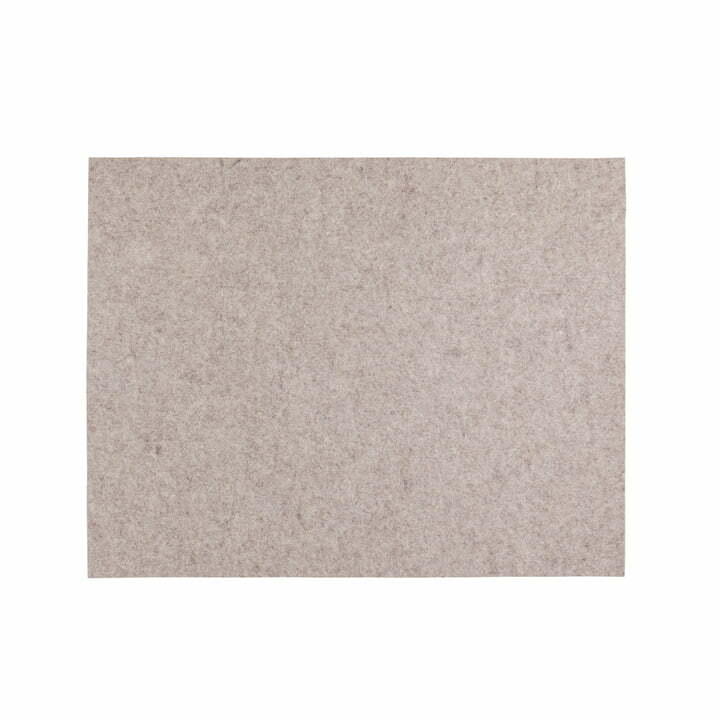 Made of felt, the placemats by Hay are resistant, robust and durable. The natural material even protects the environment because it is made of 100% wool. The felt placemats suit the dish mats and the glass coasters from the table trivets collection by Hay. This is lovely placemat by Hay. Nice neutral colour that goes well with our black kitchen island countertop and glass dining table. Has a very smooth and comfy surface made of wool. Good size thats big enough for a large plate and glass of water. So far it has stayed nice and flat on the table with no wrinkles as we were afraid that might happen. However, we have noticed that some of the wool does come off from time to time. Also, it may be hard to clean if stained.